The trimming of trees is normally a calculated act in response to a hazard brought on by a tree or good sized shrub. Understand that a tree must definitely be trimmed when a limb impedes a road or pathway. While tree boughs are in danger of damaging buildings, these will need to be cut down and also be disposed of. Trimming might likewise take place whenever the general form of the tree is in need of sprucing up for a more visually-pleasing appearance. It really is comparable but just a bit distinct to pruning. Tree pruning is actually more of a considered, intentional technique involving precise cuts in certain positions on the tree as well as at particular months of the year in order to boost the tree's condition or fruitfulness. In practice though, the two words are made use of interchangeably. This renders these slight differences largely academic in any case. 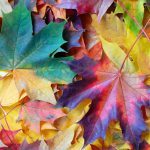 Is it worth paying for the professional trimming of your trees? On the positive side of the balance sheet, the experts at USDA Forest Service have written that mature trees can increase the value of your property by 10% on average. And ICMA/ Management Information Services has assessed that landscaping with trees can increase your home's worth by anywhere ranging up 20%. This compares very favorably with the lower returns available from ‘investing’ in kitchen remodeling, they add. Against this, much of trees' ability to enhance property value depends on how well they are maintained, claim the publisher Moneysense. It’s clear that poorly trimmed trees will never reflect well on your home’s true worth and may decrease its appraised value. 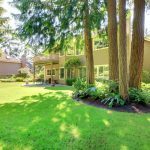 Hopefully, you can see that it’s worthwhile financially to have your trees trimmed prudently by a professional tree trimming company such as Tree Top Pros. 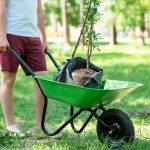 We also recommend that you also invest a little of your own time to care for your trees in the right way. We have the advice and expertise to provide both tree care and an excellent trimming or pruning service for both local businesses and residential customers in the city Tampa. In terms of advice, you can benefit straight away by reading our FREE monthly tree care diary, accessible from the bottom of this page. When should you call for our tree trimming services? Your tree is growing too close to electrical power lines. Wet trees can trigger an electrical arc up to 10 feet in length from high voltage power lines. Never trim trees close to electrical cables yourself. It’s just too dangerous. Ring us in order to talk with a certified arborist and trimmer to discuss your trees. We may well visit if there is a sizable tree or there are a number of trees affected. Our team will then present a FREE, affordable assessment of expenses with regard to the required trimming task prior to the beginning of the job. Doing this leaves you fairly and squarely in the driving seat which is how our customers like it! A stub is left just where the branch has been trimmed. Stubs will allow decay since trees cannot repair these efficiently. Alternately, trim near to the primary branch and without harming the 'collar'. Don't trim too close since it is going to be sluggish to mend and cultivate rot causing a weakness in the main branch. Trees are often trimmed way too dramatically. This is normally called topping and can stimulate poor growth in the event that it doesn't kill the tree. Aim to crop no more than 25% of the total tree canopy within any one year. The tree is too sizable to cut. Untrained folks climbing large trees can easily and does trigger a strong likelihood of a personal accident along with property damages beneath and about the tree. Just don't ever do it - call the professionals. Just say no! Contact Tree Top Pros instead. Pruning a big tree requires climbing-related equipment or even tracked hydraulic lift vehicles. There's certainly a huge risk of slipping off regular domestic ladders causing a major cause of backyard accidental injuries and worse. The branches of bigger trees are much bigger as well as much heavier. These can compromise any climbing hardware and can and when cut can drop in an unexpected direction and take out the very ladder that's carrying you aloft. This is the next area of danger and it really is simply not worth it. Through practice and a few trimming tips directly from an arborist, you might do this type of work on your own for your compact trees. 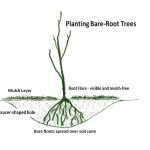 Our resident arborist discusses a few of the essentials and also some top methods of pruning trees within our separate post here as well as in our February Tree Care Diary posts. She describes the tallest reach of commonly-available pruning tools that corresponds to 30 feet when coupled with the reach of an average human adult. Trying to trim a tree taller than 30-35 feet will need hazardous ladders and our company never encourage you use these to climb up a tree for the sake of your own safety. Our experts have noticed and know about way too many mishaps. The moment you think of trimming, get in touch with our local arborist and they'll will demonstrate to you tips on how to prune ... or hoe to trim safely. Several local towns in Florida demand that people hold a pruning permit well before work begins on trimming trees, especially in case your tree is located inside a business or industrial area or sited in a shared community location. Several counties go a further and require a before and after check. Happily, Tampa city is not one of these locations unless it’s either a “Grand” or a “Protected’ tree where certain conditions apply. We understand the city codes and can easily advise you as necessary, despite the fact that we are not lawyers and cannot offer any legal advice. We’ll give you the city planning department telephone number to check on the permit you may or may not need so you are certain of the ground with your particular tree. Call our company now regarding your tree service requirements.